Single-deck blackjack is considered to be the pinnacle game for those looking for the absolute best chances to win. The fewer the cards and decks in the average game of 21, the better our chances are to win big – and who doesn’t want to maximise profits? Single-deck games were most common up until the 1960s, when card counting systems became rampant among the gambling community. Casinos caught on to these systems and feared for the loss of their house edge, which was already quite slender compared to other table games. Around the same time, when smart strategy and optimal game-play became widespread among players, single-deck games became even scarcer. In response to these threats, most casinos began using four to eight decks for their standard games of blackjack to increase the dealer’s advantage, discourage card counting systems, and make it harder for basic strategists to feel as confident. Note: This page is intended for our international readers only. Following the introduction of the Interactive Gambling Amendment Bill in September 2017, it is no longer legal to market online casinos to Australian players, so the content on this page is informational in nature only. These days, most games of 21 are played with six to eight standard decks of 52 cards. What’s more, land-based Australian casinos are notorious for bending the rules further in their favour than usual, compared to the tables of Macau, Las Vegas, and most other international gambling destinations. However, there are still plenty of gambling operators which offer single-deck blackjack at decent odds… if you know where to look. 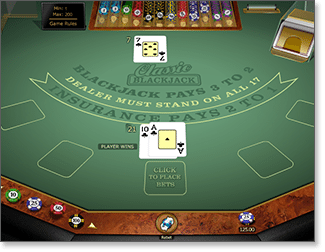 The simplest option is to play single-deck 21 online at a trusted blackjack casino. These fully certified gaming sites carry dozens of Microgaming blackjack titles, and they all cater for a range of currencies with safe banking methods and advanced SSL (Secure Socket Layer) encryptions to protect all cash deposits and withdrawals. Our top site for online 21 is Royal Vegas Casino, which allows punters to play real money blackjack via PC, Mac, and even Android, Blackberry, and iOS mobile devices. There’s also 400+ online slots and progressive jackpot slots, dozens of Internet video poker titles, as well as multiple versions of roulette, baccarat, keno, instant win scratchies, and more. New overseas players can claim up to $1200 free cash just for joining. Single-deck games are sought out religiously by many players, and for a good reason. The Classic Blackjack title at Royal Vegas, for instance, has an expected return of 99.87% using basic strategy (even higher using complete strategy with exceptions). That means for every $100 you wager, you can expect to win back $99.87 in the long run. This ranks right up there with traditional video poker for the most player-friendly stats in all of gambling. That is not to say that all single deck blackjack tables are the bees knees, however. 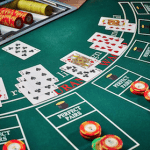 Brick and mortar casinos are well aware of the general preference for one-deck games among learned players, and so underneath all those attractive conditions there will always lurk a few not-so-pretty rules to muddy up the numbers. As with any blackjack game, the key is to know which rules favour you and which ones help the house, and to what degree. The most obvious advantage of playing single-deck blackjack is that it comes with the lowest possible house edge for any given set of rules. Further to that, such games are also the most advantageous for card counters. If you know your craft well, counting cards with the usual six to eight decks is possible, but not the most ideal to deal with, as we must wait longer for favourable counts. Another feature of single-deck games which favours the player is the “Ace rich” deck. 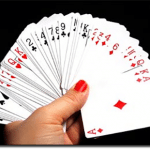 A single, standard deck has 52 cards, and there is one Ace for every 13 cards; if you are confident in your card counting abilities, or are very good at memorising, take note if any of the four Aces appear in the first or second round. If none appear, double your starting bet, and raise it again by around $5-$10 for every subsequent 13 cards dealt without an Ace. Increasing our starting bet in the following rounds is attractive, as we know there is an abundance of player-favourable Aces waiting to be dealt. 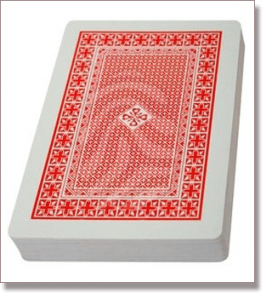 Multi-deck games increase the house’s starting advantage and decrease the probability of favourable situations where none of the Aces or 10 cards get dealt first up. These concerns are largely side-stepped with a single deck of 52 cards, as counters can identify a favourable count faster and bet with more confidence a lot sooner, so there’s no surprise these games get the attention they do. The most important thing to remember is we can only take full advantage of a single-deck game of 21 if we thoroughly brush up on our basic blackjack strategy. There is little value in spending too much time scouting b&m gaming venues or online blackjack sites for single-deck games if we don’t know the most important moves of the game. The same goes for card counters: fine-tune your craft before getting too confident and jumping into a game. Sometimes it is easy to forget casinos enforce several unfavourable rules to offset the statistical advantage we have in attractive-looking games. While fewer decks does equate to a lower house edge, the casinos will always remain a step ahead of us. Land-based and online casinos will regularly make a point of advertising their single-deck titles. However, before you begin playing, make sure to read over all the rules imposed, which ultimately could increase the house edge significantly and offset the single deck’s attractive odds. Sometimes, these rules can actually make the house edge higher in a single-deck game than a six to eight deck version. For example, the most common and disadvantageous rule employed is a criminal 6 to 5 payout on blackjack, rather than the usual 3 to 2 payout. This is a disastrous rule which brings the house edge up to an unfavourable 1.45%. Even if we are keen to only play 21 with a single deck, don’t ever give in to this terrible blackjack payout – just play somewhere else. There are two more things to consider with single-deck 21: the insurance bet, and reward points. If you are hoping to earn loyalty points for bonus rewards, either online or within a b&m venue, then play elsewhere. The house won’t make enough money with us in the long term, so we won’t earn anywhere near as many points as we would in multi-deck 21. Insurance side bets are also a waste of time in single-deck games, as the house edge is 5.90% – a very unattractive figure, indeed. Having said all that, single-deck blackjack remains an extremely favourable variation which we should seek out whenever we can. Just be wary of the other rules which offset the statistical advantage a single deck brings, and remember to fine-tune your card counting skills and basic strategy knowledge to maximise your overall returns. Non-Australian players can sign up for single deck blackjack at Royal Vegas Casino and get up to $1200 free when depositing real money for the first time.